422062 is rated 3.0 out of 5 by 2. The 38 in. 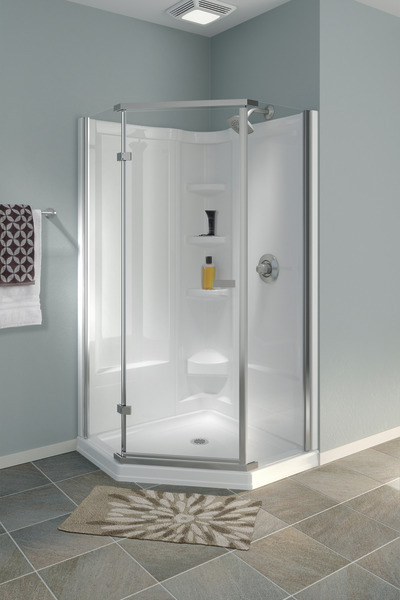 Neo-Angle Shower Base from Delta offers durability and style for your bath. 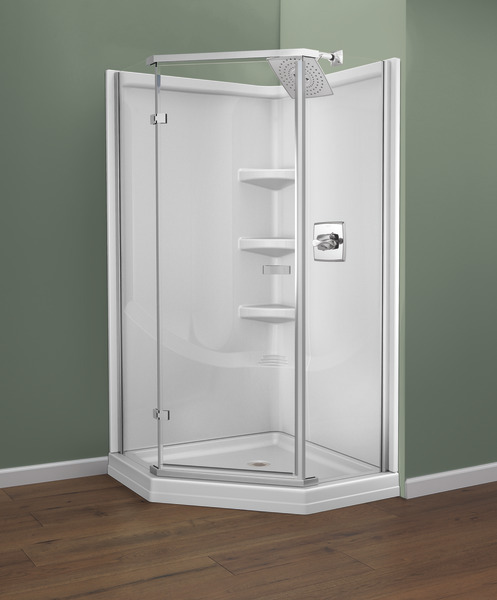 This shower base offers an attractive design with the strength and durability of ABS. 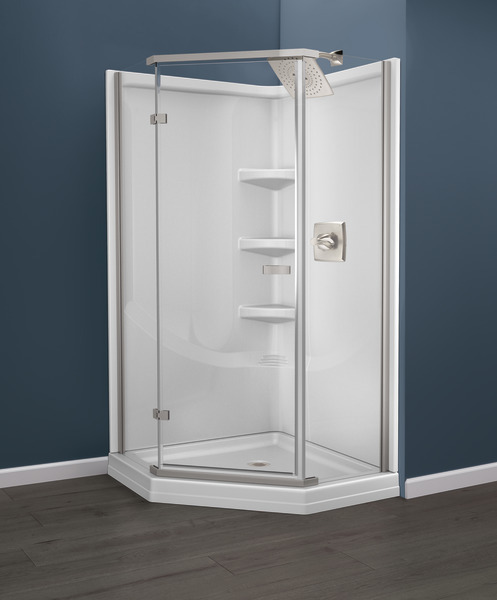 This shower base also features a built-in, reinforced support to enhance installation and performance. Fits corners 38 in. x 38 in. Rated 5 out of 5 by ultraliter from Very Good Quality Purchased this the first of the year and installed it. Very straight foreword installation. Looks good. 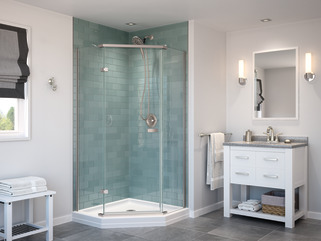 Working on the rest of the shower now. Rated 1 out of 5 by DannyB from Broke within a month of installing I used this pan for the first time on a bathroom remodel I just recently finished. Although it looks nice, it is not durable at all! It cracked in the first few weeks of install. I do not reccomend using this for a tiled wall. If you are starting up like me, please use quality sturdy products. Do to this being a custom tiled shower, replacing it will be very expensive laborsome and will deal a detrimental blow to my business. Delta, please stick to faucets, those I can say are great.....thank you. Are colors other than white available? 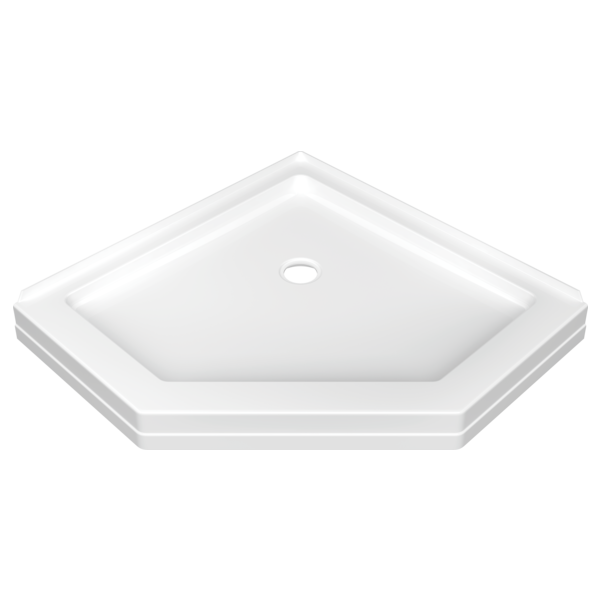 Does Delta make this base with a 15&quot;on center drain? 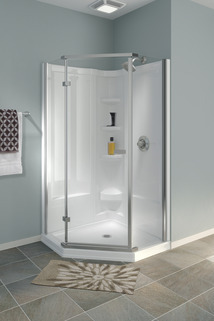 i purchased this 38&quot; neo angle shower base but my drain is 15&quot; on center and not 12&quot; on center. 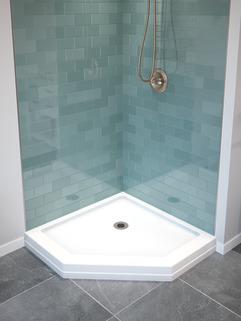 Do you have one with a 15&quot; on center drain? 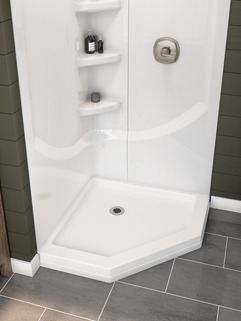 Can this base be used with a tile wall? I was told that the base has to be fiberglass in order to use tile. We are replacing our current shower and bought the above base. do you make a base in 42 inch on part no 422062 wich is a 38 inch and can you give me a part no. 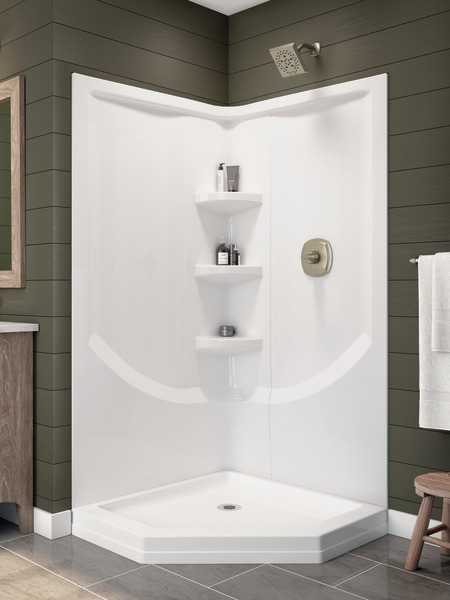 can you put ceramic tile to this base instead of the wall set? 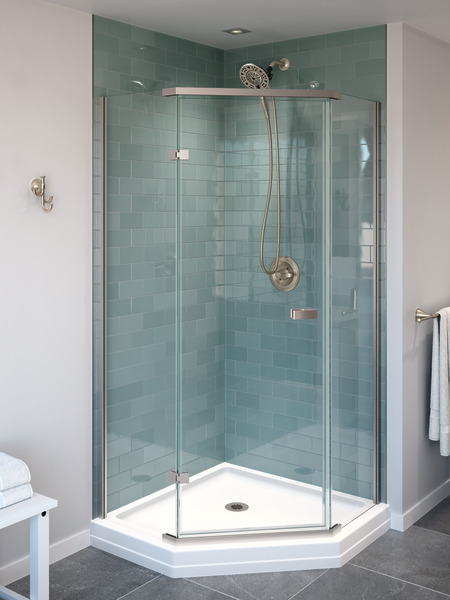 I plan to order a custom corner shower surround. I am going to use tile for the wall. Can you sugest the door and side dimentions for the 422062 base?